10 Logo Design Principles That You Should Know | GUI Tricks - In Touch With Tomorrow! 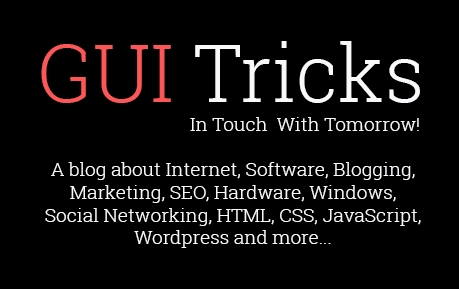 10 Logo Design Principles That You Should Know - GUI Tricks - In Touch With Tomorrow! To be the veteran in the logo designing field, there are certain sensitive parameters that are needed to be highly considered. Here we bring some of the world class logo principles that will bring out an excellent logo designer out of you. A good designing starts with an excellent collection of requirements. A comprehensive design brief allows a developer to immediately start creating with all the plans, desires and expectations in hand. You can only portray the customer business if you have a complete understanding of his/her business. Research of clients industry allows you to design a logo that best conveys the business message smartly. Make design sketches of all the initial ideas that come in your mind and come up with something innovative by inspiration sketching. This allows you to take out chunks from different sketches to create a whole new logo. Colors are emotional and subjective. Don’t allow colors to blur the message of your logo. A single color of a logo can work with diversified requirements. A single color of your logo can help people to get used off it quickly, and the color will become your brand identity. 5. Take Care Of The Mathematics. It is always a smart move to choose vectors based logo designing. Software’s such as Adobe Illustrator and Photoshop allows you to design your logo with all geometrical parameters such pixels, resolution, and definition in your hold. Do your homework in generating some great logo ideas. Once you come up with the smart list of logos, pick out the best one that you could present to the client for finalizing. Whether the customer appreciates your sketches, congratulations, you are already on the right path. The application of a logo is diverse. It is imperative that logo design should be reviewed before to analyze that it will work perfectly for different graphical applications such as business stationery, vehicles, magazine cover, etc. Adding unnecessary complexity can eventually end up in compromising your creativity. Keep it simple, expressive so that everyone could easily get used to it. Selection of colors is one of the most key concerns a logo designer should be facing. Colors can dramatically support the message you intend to convey. Select colors that best goes with the tone of the design and message. Once your mind is clear, and you have all of your aims in front you start proceeding, but always keep a room for flexibility. You never what changes you will need to make in future, what will make your client confused. Always consider that you may need to make alterations whenever required. Mark is a creative writer in LogoVenture, with an aim to provide high quality, informative and expressive articles. He keeps himself updated with all new trends to provide his readers an insights of the technological complexities.